This entry was posted in Gesellschaft, Sicherheit, Verwaltung and tagged absurde Verkehrsschilder, Astra, Bundesamt für Strassen, Schilderwald. Bookmark the permalink. 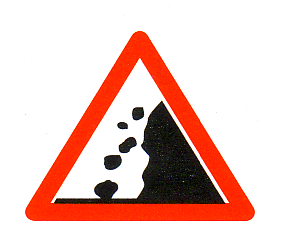 1 – Too many road signs, some of them could or even should be taken away, this is usually obvious. 2 – Too many road sign types. Some of them are not necessary or even misleading – and this is seldom or never noticed nor discussed. And in some countries they DO NOT EVEN EXIST! The sign “2.53 Ende der Höchstgeschwindigkeit” is absolutely outdated and it is lying! I know only two places in the (civilized) world where it is needed: the German highways and some parts of Western Australia. At least in some countries (e.g. UK) it’s named “National speed limit applies”, this makes better sense! All in all we can stop using this sign (and that means a WHOLE GROUP of signs!) and place THE NEW PENDING speed limit sign instead. And the nice thing is it does not even need a change in the highway code!!! Just let stop to produce them and put the appropriate speed limit signs instead, slowly the old will disappear. No costs, only savings because we will have a smaller variety to produce and stock. P.S: Please excuse my writing in English – I understand German well enough but I feel more comfortable writing this way.